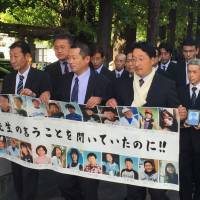 Fifty-one minutes after the earthquake struck on March 11, 2011, a massive wall of water inundated the grounds of the Ishinomaki Municipal Okawa Elementary School in Miyagi Prefecture, killing 74 pupils, 10 staff and the school bus driver. 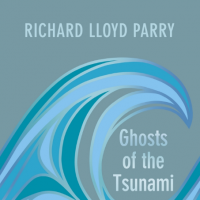 Ghosts of the Tsunami: Death and Life in Japan’s Disaster Zone, by Richard Lloyd Parry. The school was located a full 5 kilometers from the seashore and, had the victims only climbed the hill towering above the school, all of their deaths could have been avoided. Seven years earlier, officials at the prefectural offices had concluded in a March 2004 survey that a tsunami would, at worst, reach only 3 kilometers inland. For this reason, Okawa Elementary School was designated a safe disaster evacuation center. Up and down the the Sanriku Coast, the swath of land stretching from northern Miyagi to southern Aomori prefectures, there are well over 200 old stone monuments, signposts indicating where the waterline had reached in past tsunami, giving warning to future residents and potential victims. Some of them are explicit: “Do not build a house below this point.” Most of the monuments are near the coastline, but some were erected inland where there was evidence that the waterline had reached. The two most recent catastrophic tsunami, in 1896 and 1933, had together taken some 25,000 lives. Yet such mortifying statistics of mass death in the past seem to numb us into apathy: The memory fades from sepia to pale gray and, in the course of time, to blank. We require stories — whether real or fictional — to stir recognition, to create a lasting memory and to spur us into action. 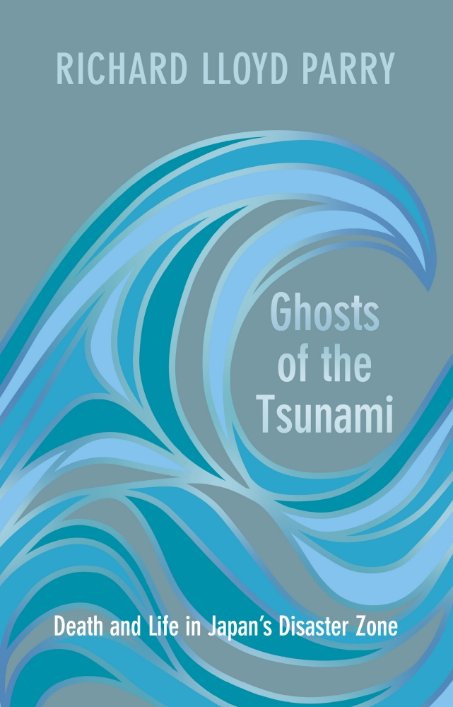 Richard Lloyd Parry, Asia editor for The Times, has given us these stories in “Ghosts of the Tsunami,” published this week by Jonathan Cape in Britain and, in October, by Farrar, Straus and Giroux in the United States. Parry combines an analytical dissection of the disaster in all its ramifying web of detail with a novelist’s deft touch for characterization. Portraits of relatives and witnesses are presented with a warmth and compassion that allow us to sit beside them in the vacuum of grief. Why were those 51 minutes allowed to elapse without decisive action being taken? Why, asks Parry, was everyone at Okawa Elementary School not evacuated to safety? The book recounts how one mother of a sixth-grade girl had driven to the school immediately after the earthquake. Miwae Ukitsu went to her child’s teacher, Takashi Sasaki, urging him to take the children up the hill to safety: “There’s a tsunami coming. Run up the hill.” The children were lined up on level ground by the school, following post-earthquake procedure. “Ghosts” delves deeply into the actions and inaction of the teachers at the scene. Central to the tragic twist of events was Junji Endo, the sole surviving teacher who had managed to climb up the hill. He later claimed that pine trees had fallen on the hillside, blocking the way up for others; yet subsequent verification found no such trees, and there were other major inconsistencies in his testimony. He virtually disappeared from sight in the ensuing enquiries. Parry follows the story of the enquiries in scrupulous detail. The agony of the wait after the tsunami struck the school is poignantly evoked. Most parents and relatives of the children refused to believe that an ill fate had befallen them. Some parents were naturally in denial until they set eyes on their child’s corpse. 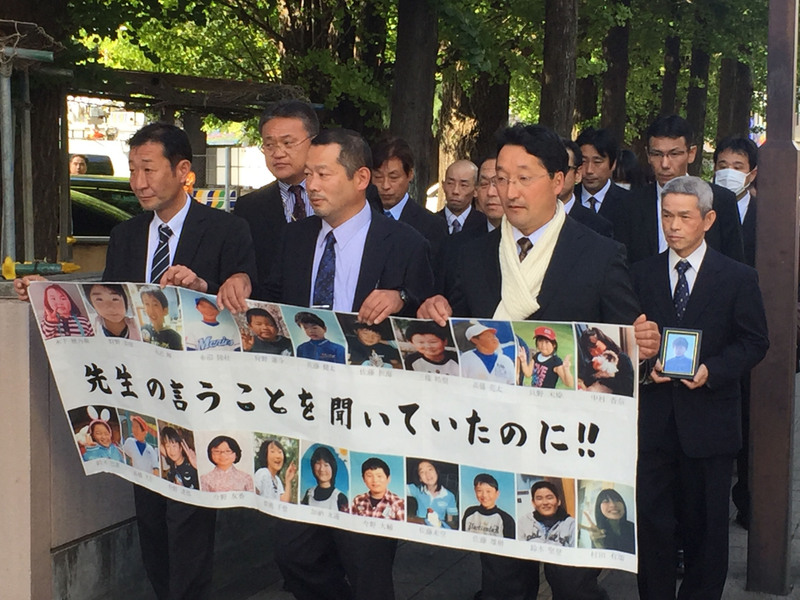 Two years after the disaster, fifth-grade student Chisato Shito’s mother, Sayomi, recalled to Parry what happened when she was called to the high school where Chisato’s body was being held. Sayomi and her sisters had attended that very high school years earlier. There are many other stories in the book — including those relating to the ghosts that people reported seeing in the wake of the catastrophe — and all are equally heartrending. In recounting them, Parry carefully reveals the psyche of people forced to come to terms with inconsolable sorrow. He infuses their stories with a focused and acute account of the official coverup of responsibility in a country where everyone is to blame and no one is to blame — where victims are expected to resign themselves to “fate,” whether it could have been circumvented or not. This eloquent account of catastrophic misfortune can, of course, provide no answers to the survivors, who are portrayed here with great dignity; nor can it assuage their torment. But like the stone monuments that stand on the hills, it will remain as documentation to the inestimable power of nature and the pitiful frailty of our own.